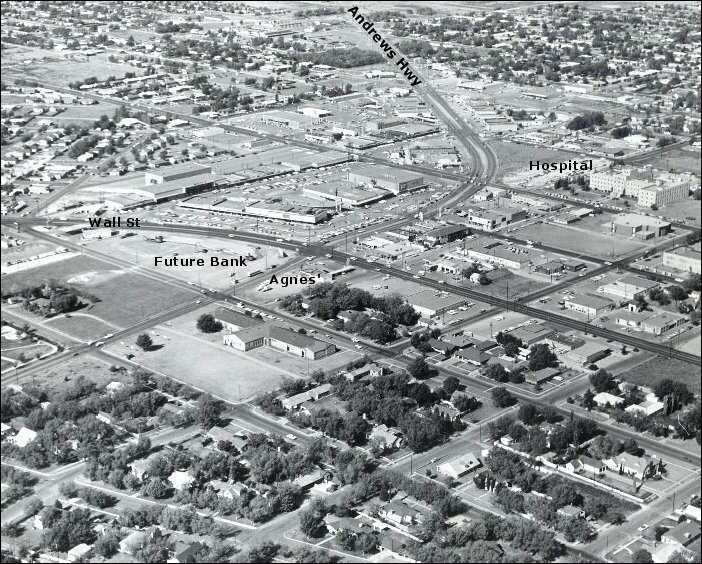 From 1961 this view is centered near The Village Shopping Center, now known as Old Midland. The hospital was years away from addtions and renovations with a vacant lot to the northwest where the buildings that are now there today seem so old. You will notice how sparse the buildings become further out on Andrews Hwy past Cuthbert Rd. Construction has just begun on the Commercial Bank building at Wall St and the Andrews Hwy while across the street Agnes's Drive-in is still in operation.